We Design and Build Creatively For You. We are full-service design firm specializing in retail, restaurant, and commercial projects. We can help coordinate your project from planning and permitting to design and construction. Headquarter for a large Furniture Distribution Center Company located in Houston, TX. This is a 400,00 square foot office and warehouse building provide service for Crown Mark. Started in 1983, Crown Mark has been growing ever since. They also have branch distribution center in POMONA, CA, and High Point, NC, which also designed by us. 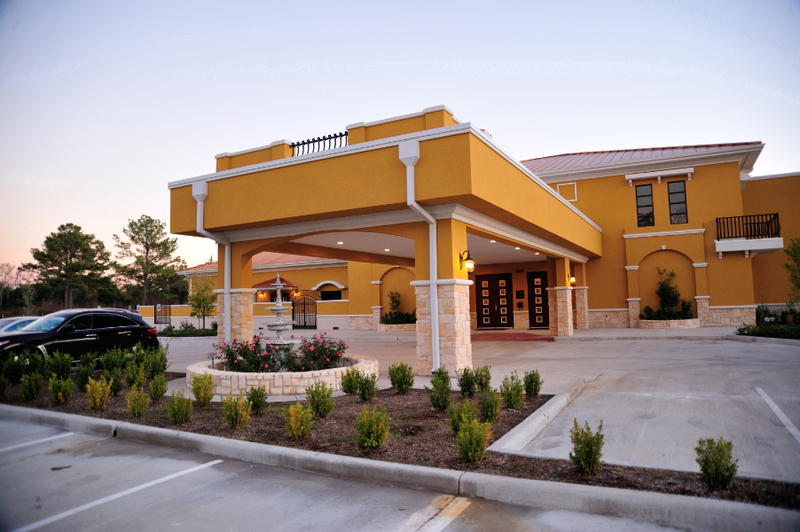 10881 S. Sam Houston Parkway W.
THE VILLAGIO IS A BANQUET PARTY HALL LOCATED in SOUTHWEST OF HOUSTON, TX. It is a 16,466 square feet with 2 story building dedicated to making sure your event is unforgettably magical.IT CONSIST OF A 6,125 SQUARE FEET BANQUET HALL, A 2,630 CHAPEL AND A GRANT HIGH CEILING LOBBY. BUILD OUT OF A EXISTING 4,711 SF. LEASE SPACE AT 2001 COIT ROAD, SUITE 180, PLANO TX. 75075. to a new cathay bank branch location. We incorporated their headquarter's main design concept to fit into this existing site condition. Nestled upon 4 acres of land, Signature Manor along with Houston Event Planning offers absolutely everything you need for a memorable wedding celebration. With a total of 5 lavish ballrooms, Open up to nature in one of two upstairs ballrooms, each with an attached private balcony. CAFE JADEITE IS A 5,779 SQUARE FEET CHINESE RESTAURANT LOCATED IN UPTOWN AREA. WITH THE CONCEPT OF CHINESE FUSION, THE INTERIOR DESIGN GIVES YOU AN OLD ANCIENT EASTERN CHINA FEELING.